Yesterday did not go as I had planned. 3 weeks ago (right about the time we found out the Happy Baby didn’t have a fatal genetic disorder), we decided to stop using the feeding tube. Knowing that there was not a disability helped me to see that most of the Happy Baby’s feeding issues are aftermath from our 3+ month hospital stay. As soon as we took him off the tube the poor thing lost 5 ounces almost instantly. I spent a lot of time in the fetal position trying not to have panic attacks that my precious little boy was going to waste away into a bag of bones. I fretted about whether or not I was doing the right thing, but yet found myself stubbornly determined not to use the tube ever again. Then one night when I crept into his room to quietly trick him into taking a bottle while asleep, he guzzled 6 ounces in less than 15 minutes! From that point on I watched as (miraculously) the Happy Baby got better and better about taking his bottles. I started texting pictures of empty Dr. Brown’s to my mom or the Happy Hubby at work because I was so excited about his progress. Not every feed is awesome. He still has quite a bit of reflux going on. I’ve even cut dairy and gluten (*sob to no more late night ice cream binges*) from my diet to see if it might help – and while it’s improved, I can tell that some bottles hurt more than others and some bottles are still unbelievably rough. But, on the whole, he is taking in better volumes. I began praying that God would pack the pounds on the Happy Baby. Use the milk that I am frantically trying to provide to turn our son into a little Dough Boy. I started praying for a specific weight to be attained by the Happy Baby’s next GI doctor appointment so that I could prove to the medical staff that our baby didn’t need his feeding tube anymore and would they please take it out. I figured that God wanted the Happy Baby’s feeding tube out as much as I did. Well, that GI appointment was yesterday. And as I said, it did not go as I had planned. For starters, what I was hoping would be a party around the scale, ended up being a HUGE disappointment. 3 weeks. Only 3 ounces gained. Then the doctor came in and informed us that not only had the Happy Baby dropped from the 25th percentile for weight down to the 8th, but also that we were nuts to think we could take his tube out so soon. I tried to stand my ground in our little meeting and push my “I just believe he’s going to be fine” agenda on the doctor, but he held up the facts. It seems I am a bit in denial that our sweet Happy Baby still very much has some obstacles to overcome. Instead of getting the tube out we must wait another 6 weeks and try some things to boost the Happy Baby’s weight because clearly my breast milk alone is not cutting it (big disappointment). I am tempted to quietly push ice cream through the tube! Or maybe invite Paula Deen to move in with us and lavish her buttery goodness on our boy. Needless to say, I left the doctor’s feeling incredibly discouraged. I had walked in feeling so sure that we’d be scheduling a tube-removal surgery and we could put this whole season behind us. Somehow I had managed, once again, to form my own idea of our ‘happily ever after’ and forget that sometimes (okay, often times) God’s ‘happily ever afters’ are quite different than ours. Sometimes He allows hard things. Sometimes the perfect little ideal I dream up is just the opposite of God’s plans. Sometimes there are babies with feeding tubes for extended amounts of time. Sometimes there are children with serious disorders and diseases. Sometimes there is even death. Sometimes the journey to His ‘happily ever after’ doesn’t feel quite so fairy-tale-ish. These are the thoughts I have wrestled with lately, trying desperately to hold on to my Pollyanna Complex – believing that God will perform a miraculous and instant healing in our baby – in all hurting babies for that matter. But the truth remains – sometimes He doesn’t. And that is a hard pill to swallow. I was reminded recently of Moses’ mother. In a time when the king had ordered all of the Israelite baby boys to be killed, Moses’ mother wrapped her baby up, laid him in a basket, and sent him floating down the river. She put her baby in a basket – and trusted that God would deliver him. That certainly doesn’t sound like the ideal situation to me! I’d be paralyzed with fear at the thought of the basket overturning or an angry alligator looking for its next meal! But this is what God asks us to do. Put our babies ‘in the basket’. Surrender our hopes, dreams, and desires for them – knowing that God’s hopes, dreams, and desires for them (and ultimately, us) are better. Little did Moses’ mother know that in her obedience to surrender her baby to the basket did God lead that basket straight to the palace where her baby was found by the princess, herself, and given a life of royalty. Not exactly what Moses’ mother had in mind. I would think she had prayed for a way to keep her baby in her care forever, begging the Lord for another way. But God chose differently. And her son lived. Because of her obedience he lived to lead an entire nation of people out of slavery. So the tube is staying in a little bit longer. And when I say a little bit, I hope and still pray it will be a little bit, but ultimately it’s up to God and not my own stubborn determination or endless hours of pumping. The Happy Hubby commented to me as we left the hospital yesterday that our hearts should be so surrendered to God’s timing for the Happy Baby that when it does come time to get the tube out, we will be pleasantly surprised. I’ll bet Moses’ mother was pleasantly surprised when she ended up being the woman the princess called on to nurse her new found baby in the basket. Yes, Mommy Warriors out there, let us put our babies in the basket. Because in that obedience, we can be confident that God will lead them (and us!) to the palace. Thank you always for your prayers and support. Such a God inspired post! Thank you for sharing your journey with us! 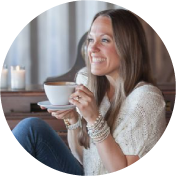 Julie – I started following your blog several months ago, while you were still pregnant… yours is the first blog I followed, and to date, still the only one! I have three little ones and find it difficult to make time to follow all of the blogs I would like to follow, but I can’t stop reading yours. Your story is so touching. I am so sorry for the pain you are going through, for the worries, and the struggles your sweet baby is experiencing. Your strength and your faith are INSPIRATIONAL to me. Your outlook is so amazing, and reading your story and how you cope and how you draw strength is so incredible. I will continue to pray for you and your baby. God bless you both! Well written, and oh so true! His plan is best, even though we may not understand it. Hang in there, and surrender. Hang in there!!! I remember having to add formula to my milk with one of ours because he wasn’t gaining weight. With God’s help–it WILL WORK! Be positive– Be strong in our Lord (words ina choir anthem from ISAIAH ) Love you!!! Maybe supplementing your breast milk will be the trick to adding weight for your precious boy. Anything that helps him thrive is worth trying. I will continue to pray for your family. This was such an inspiring post. Thank you for sharing this painful, yet fruitful journey with us. You are incredible! I am speechless – I don’t know how I could go through what you are going through, although if I were I know I would push ahead, but to continue to blog and share your story is remarkable. Praying for you and Fattening Up! Oh Julie, I cannot but pray one of our favorite verses we talked about this summer and I have been praying for Jet and your family. Isaiah 43:18-19 Forget the former things, do not dwell on the past. See! I am going to do a new thing (Don’t you just love new things, spiritual and of the heart?! )… I am making a way in the wilderness…and streams in the wasteland. What a well written post! Can I have your permission to share this? We lost a baby to SIDS 3 years ago and while my Husband and I are at peace with it there is still fear of losing our living children. We are asked a lot of times by parents with infants how we manage to not worry ourselves sick about losing another baby/child. And if we have any tips to help them not to worry. All I can say is just what you said. Give them to God. We want them to surrender their lives to the Lord as they grow and get older but we need to surrender them to Him right away. The main goal in our lives is to draw others close to the kingdom of God…and I believe that your blog is doing that. And your struggles with your precious baby. Lots of us Mommies are gaining strength and wisdom by reading your heart. Thank you for sharing and putting your feelings out here for us to glean (gleen?) from. On the other side of this great journey with Happy Baby you will see the big picture…maybe sooner maybe later…but at some point you’ll see the big picture. And you’ll be pleased that you’ve followed God’s will and been sensitive to His way. I care for you and your family and I don’t even know you! My mom and I are ‘faithful followers’ (not to be sacrelege!) Keep your chin up! Even a great mother like Moses’ Mama had her fair share of fears and doubts. Imagine how her heart swelled to see her son able to perform such a great feat for history! God Bless. This doesn’t mean u give up hope. Or stop Being who u r- the positive faith filled personality God gave u… U just lean even heavier on the Lord than on those feelings- easier said than done. Am praying God shows BOTH of us what this is supposed to look like in our lives!! Love u. He is just so adorable and you are the greatest mom! Your obedience is a wonderful testimony to us all. God will provide, it’s just that we have our own timeline….Keep your spirit and hope alive and God will be continuing to show His miraculous hand…. You are such a blessing and encouragement to many. I am praying for you and your sweet family. Though I don’t know you, we are sisters in Christ, and we serve a Mighty God. May He continue to show His mercy and grace….praying that you will have a peaceful day. I love to follow your story. Your heart is so beautiful and God has a big plan for that Happy Baby. He is working together all things for good. We had a similar situation that no doctor ever found the cure for, and after 2 1/2 long years of hating food because of pain, God led us to a woman who uses a Bioset program to help us. I am thrilled to say we have a delightful 6 year old boy who loves food and loves God. Blessings, He makes ways in the wilderness. He is a lamp on your feet and a light on your path, never a shining, beaming light. Wow. Awesome awesome post. Loved it and needed it. Loved happy hubbies comment too. God always has a plan…I lived by and still do Jer 29:11 when our son was so very sick. When I look back I can see where God just carried me along I thought I knew best, at each turn He showed me what He had planned for our son… know you are covered in prayers from a Mom who has walked where you are and trust someday you will look back and smile…even at the doctor who today did not give you the news you wanted….just hold fast to the Lord our God and HE will carry you. HIs Grace is indeed enough..in all things. I know how the weight goes…I recall when our son had surgery for his reflux he was 11 pounds at 8 months. At 12 months he was 14 pounds but at two years he was 26 pounds! By the time he was 7 he was in the 50% and has stayed there. I recall telling some sweet old lady YES one day in the store when she looked at him and asked if he about 3 or 4 months..he then gave her a big smile and sat up….I just smiled and said…he is very advanced!! He was about 14 months old at the time :). Thank you so much for this post. I carried my daughter to term with no problems and yet when I got to the hospital to deliver she was stillborn with no apparent reason. I have since had two living children and I’m pregnant again. I’m still early in the pregnancy and dealing with the fear. This was just what I needed to hear. I need to put my babies in the basket and turn them over to God. Thank you and I’m praying for you! I just started following you but I must tell you this was beautiful. As nurse who often deals with babies who are struggling and not perfect and also as a mom who has an atypical child with her own struggles this touched me on many levels. I hope to take from it the ability to be patient with my own special needs child and also to aid in the counseling of parents at work who have children with difficulties. Thank you again for this beautifully written piece. What a tough lesson to learn. I hate to tell you that it’ll have to be practiced over and over. You’re definitely on the right track. I love this. Thank you so much for sharing this. Hang onto your faith. I will add you and your family to my prayer list. Blessings to all of you. July 4, 1987 my oldest daughter was born 3 months premature, 2 lbs, 9 oz. In my case, ignorance was bliss! Doctors told me she had a 50/50 chance to live and if she did she would be a “burden” of disabilities. (Blind, deaf,dumb, mentally challenged and never walk) I just told them, “no she won’t!” 27 yrs later and a lot of water under the bridge, struggles, 18 surgeries, hospitalization, therapies for years,. She is bright, beautiful, funny, and intelligent. She is physically disabled and uses a power wheel chair, With the care of a wonderful christian care giver, she lives in and owns her own home. She is not without struggles. She can physically do nothing for herself, toileting, feeding, bathing, etc.but she will be the first to tell you how good God is!! She knows she could have lived the life of a vegetable, but God uses her life everyday to glorify Himself. It only took me about 5 yrs after her birth to realize that! Once I stopped the guilt, “why mes” and “why my child” I saw her birth as a the most wonderful, saving grace, and biggest blessing a mother and family could ever have. She keeps us close to the Lord, and we just sit and watch Him work in her life and all those she touches around her. I know you heart can be heavy at time, I too struggled with that. But know this and always remember “be anxious for nothing” God is in control. You, too, like me, will have a wonderful ending to your story. You now have a way to show God’s glory through your son and journey through life to encourage others. Four years ago, our first child went home to be with the Lord. It was devastating, painful, and not at all what I had imagined would be a part of God’s plan for our family. Fast forward to now, and He has blessed us with two more beautiful children. And, just as we began the process to become foster parents, has blessed us with a new pregnancy! Our joy in His faithfulness is overwhelming, and would have never been this great had we not gone through that loss. Hope this is an encouragement to you, as you have been to us! Your post is so profound and encouraging! All mothers of newborns could take a lesson from you. Even if their babies aren’t having difficulties, they could learn from your strength and wisdom. The analogy with Moses’ mother was perfect for you and your Happy Baby. Keep on keeping on! The end of that story where his own mother got to come and take care of him is the best part! Julie, This post is so beautiful that it made me cry. What an inspiration you are! You’re such a blessing to your family:) Thanks so much for sharing. It is SO difficult to give up control and just trust in His plan for us. We are all with you on this journey! Thank you for sharing your feelings so honestly. What a wonderful illustration! We love you guys and you are always in our thoughts and prayers!